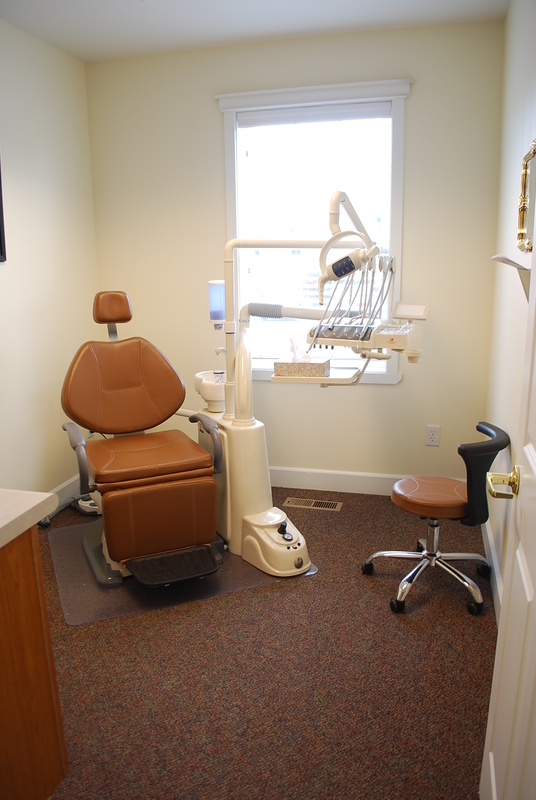 During your first appointment it is a time to sit for a moment and get acquainted with one another. At this time we will take impressions of your mouth for your new denture. There is no pressure and you are under no obligation to decide to start the denture making process. 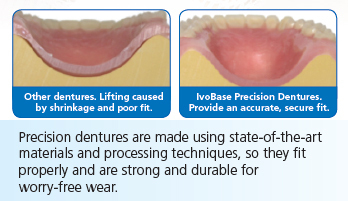 At My Denture Clinic we use IvoBase Precision Dentures. Find out more here. If you have been wearing dentures for some time, you may have noticed that your mouth has changed shape. This is because without the roots of your natural teeth, the bone in your jaw will begin to resorb and reduce in size. In your lower jaw this process can result in a flat ridge, leaving you with none of the retentive features necessary for a full lower denture. Without a secure fit, your lower denture can tilt, wobble or rub, which is an extremely unsatisfactory result for you. Swiss dentures offer a distinct advantage over ordinary dentures. With a unique pestle and mortar design, Swiss denture teeth make chewing easier – especially when eating with a lower denture. We will create the comfortable dentures that offer you greater security and improve your quality of life. Used in combination with dental implants, these natural-looking dentures are comparable in function to natural teeth. Because no two mouths are alike, we will carefully measure and analyze the unique shape of your mouth. By carefully positioning the right combination of specially designed denture teeth, we will give you the best look, fit and feel from your Swiss dentures. With Swiss Dentures, you can enjoy the fit, feel and function of comfortable dentures that restore your ability to eat, talk and laugh freely. Immediate dentures are made for people who still have natural teeth. Upon the extraction of the natural teeth, the immediate denture is inserted. Impressions are taken with your teeth still in your mouth to start the fabrication of the immediate denture. It takes approximately 3 to 4 weeks for and immediate denture to be made. 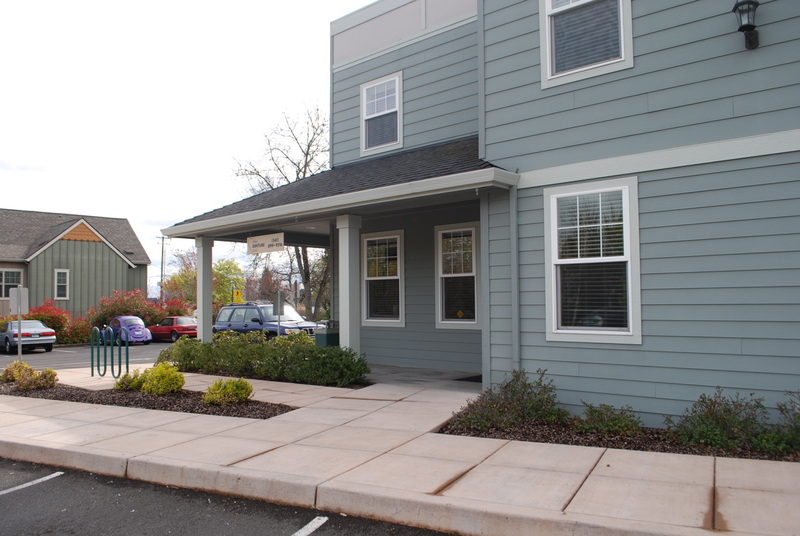 We work with your dentist or oral surgeon to have your immediate denture completed in time for your extractions. Because the immediate denture is inserted at the time of your extractions, you will not have to go without teeth. Did you know that most denture repairs to fix cracks or replace missing teeth could be done in about an hour? My Denture Clinic is pleased to offer you choices to fit your busy schedule when you come to see us for a denture repair. Please understand that not all denture repairs are considered simple repairs, and we reserve the right to adjust our fees based on the amount of time involved but will be certain to quote you an exact price before you leave that will not change. Dentures often become loose over a period of time as your mouth changes. Recent weight loss will cause a denture to become loose and not fit properly. Relining is a technique we use to reline your denture. 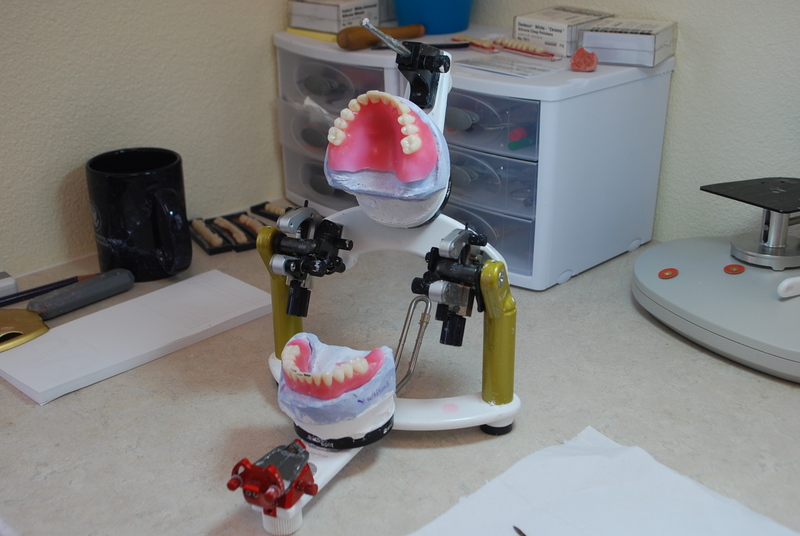 We take an impression of your mouth and replace the base of the denture leaving the teeth in their same position. Giving you an updated fit with a new base, but not changing your appearance. We offer implant solutions. These implants are made of titanium, which is the same metal used in artificial hips and knees. They feature a method of clipping full and partial dentures into the mouth to decrease movement of the denture, therefore offering more stability to the denture. Contact us for further information about the services and products offered at our denture clinic.